Today we kick off a new category, in which we reveal the books on our nightstand. Each week we’ll tell you what a few of our staff members are reading, or we’ll offer a peek at the stacks of our authors and friends. We may have disparate tastes, but the one thing we all share is a love of books. 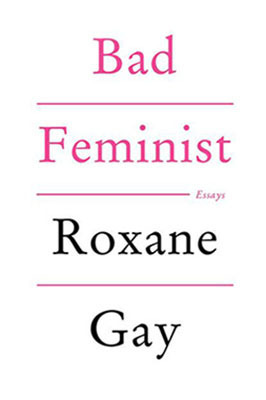 Katie O’Reilly, Ecotone’s managing editor, is reading Bad Feminist by Roxane Gay. This week I had the pleasure of starting Bad Feminist, Gay’s recently released essay collection. Beyond bearing my favorite nonfiction qualities (i.e. being wryly funny and painfully honest and entertaining), Gay’s subject matter speaks to pop culture sensibilities. She also explores society’s tenuous relationship with feminism, detailing how she is “a mess of contradictions,” how most of us are. Although she doesn’t wrap anything into a tidy conclusion—another quality I respect in an essayist—I feel better already about being a member of that “messy” camp of feminists, those of us who fall subject to hypocrisy, who can’t always keep the rules straight, but who understand the importance of engaging in the kinds of conversations that Gay presents. 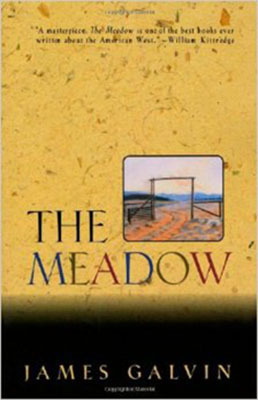 Lookout intern Bethany Tap is reading James Galvin’s The Meadow. It’s rare that such a lyric nonfiction book can hold my interest, but I was immediately taken with The Meadow, which traces several generations living along a meadow in the mountains of the Colorado/Wyoming border. Written in short segments that move like a poetry collection, the book abandons chronology as it details characters and the passing of time. The meadow is perhaps its most significant character, as the land endures beyond its inhabitants. This book pushes the bounds of the genre. 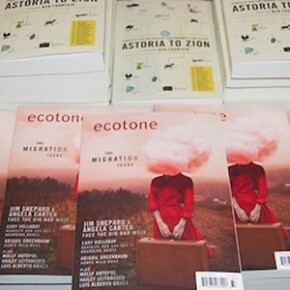 It is both a Western and nature book; it is nonfiction with the imagination of fiction and the sweeping scope of the most daring poetry collections. 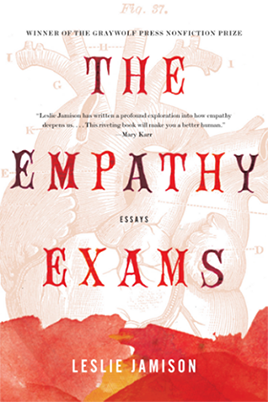 Lookout intern Abigail Chiaramonte is reading Leslie Jamison’s essay collection, The Empathy Exams. The Empathy Exams is a pleasantly uncomfortable read. This oxymoron is appropriate—Jamison’s deft use of language renders pain and illness simultaneously alluring and repulsive. A single paragraph can seamlessly move from witty to heart-wrenching. This is an essential book in a world where people grow increasingly disconnected by the day. It reasserts the necessity of human connection, compassion, and, yes, empathy.